In selecting peer-to-peer fundraising software a sometimes-overlooked decision is which donor management system (CRM) integration options are available. This is critical because depending on your nonprofit’s size your donor management system (CRM) may cost or save you thousands of dollars. At Blue Sky Collaborative our SWEET! peer-to-peer fundraising platform integrates with a wide range of donor management systems (CRM). We believe your fundraising campaign should be crafted your way. Thus we adapt our software to your needs and do not limit your options or vision. World’s Best Fundraising & Constituent Relationship Management System. … The average gift to organizations that run on Blackbaud software like Raiser’s Edge NXT, Raiser’s Edge, Blackbaud CRM, Luminate CRM or eTapestry is nearly double that of an average industry gift. … Fundraising and ..
Organize your constituents. Get the powerful open source CRM used by more than 10,000 non-profits. Explore CiviCRM. Centralize constituent communications. Thousands of nonprofits use Neon’s nonprofit CRM to manage their fundraising, membership, events, and website — and ultimately grow their organization. We believe software should flex to people, so they can be creative, have fun and maximize their fundraising potential. At Blue Sky Collaborative our goal is to help you maximize the benefits of online peer-to-peer fundraising to achieve your mission. To learn more about how we can help, visit our website www.blueskycollaborative.com or call us at (p) 800-330-4109ext. 803. Blue Sky Collaborative is a peer-to-peer fundraising software developer and services firm. Our SWEET! online peer to peer fundraising platform is ideal for any company, non-profit or school, large or small, that holds participant or pledge events: CSR, walk-a-thons, golf-a-thons, run-a-thons, any-a-thons. The company was founded in 2002. 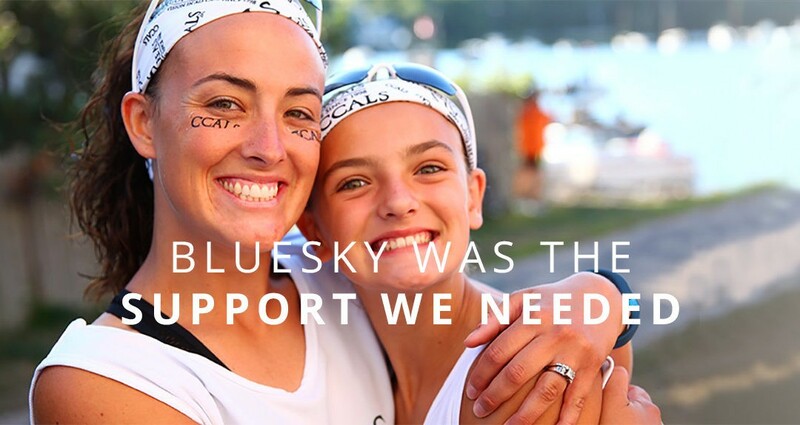 At present thousands of people use Blue Sky Collaborative’s software to support events and campaigns of all types. Several hundred companies, non-profits, and schools, in multiple languages, use Blue Sky Collaborative’s peer-to-peer fundraising software to raise tens of millions of dollars.